Dominica XVIII Post Pentecosten: "Take courage, son; your sins are forgiven you." This day's reading hath shown us an instance of how Christ, in those things which He did as Man, worked deep works of God, and by things which were seen wrought things which were not seen. The Evangelist saith Jesus "entered into a ship, and passed over, and came into His Own city." Was not This He Who had once parted the waves hither and thither, and made the dry ground appear at the bottom of the sea, so that His people Israel passed dry-shod between masses of water standing still, as through an hollow glen in a mountain? Was not This He Who made the depths of the sea solid under the feet of Peter, so that the watery path offered a firm way for human footsteps? Dominica XVII post Pentecosten: "Which is the great commandment in the law?" At that time, the Pharisees came unto Jesus, and one of them, which was a lawyer, asked Him a question, tempting Him, saying: Master, which is the great commandment in the Law? And so on. Homily by St. John Chrysostom, Patriarch of Constantinople. When the Pharisees had heard that Christ had put the Sadducees to silence, they gathered themselves together for a fresh attack just when it behoved them to be quiet, they willed to contend and so they put forward one of themselves who professed skill in the law, not wishing to learn, but to lay a snare. This person therefore proposed the question: "Which is the great commandment in the law?” The first and great commandment is: "Thou shalt love the Lord thy God," but they expected that He would make some exception or addition to this in His Own case, since He made Himself God. John x. 33. With this expectation they asked Him the question, but what said Christ? To show that they had adopted this course, because they were loveless, and sick with envy, He answered: "Thou shalt love the Lord thy God with all thy heart, and with all thy soul, and with all thy mind. This is the first and great commandment. And the second is like unto it: "Thou shalt love thy neighbour as thyself." Dominica X post Pentecosten: "Jesus spoke this parable unto certain which trusted in themselves that they were righteous, and despised others"
At that time: Jesus spoke this parable unto certain which trusted in themselves that they were righteous, and despised others: Two men went up into the Temple to pray, the one a Pharisee, and the other a publican. And so on. The Pharisee might at least have said: "I am not as many men are." But what meaneth "other men"? All other men except himself. "I," said he, "am righteous; others are sinners." "I am not as other men are, extortioners, unjust, adulterers," and then he took occasion, from the neighborhood of the publican, to plume himself "or even," quoth he, "as this publican." "I am alone," he thought, "that publican" is one of the others. Mine own righteousness maketh the gulf between me and the wicked, such as he is. 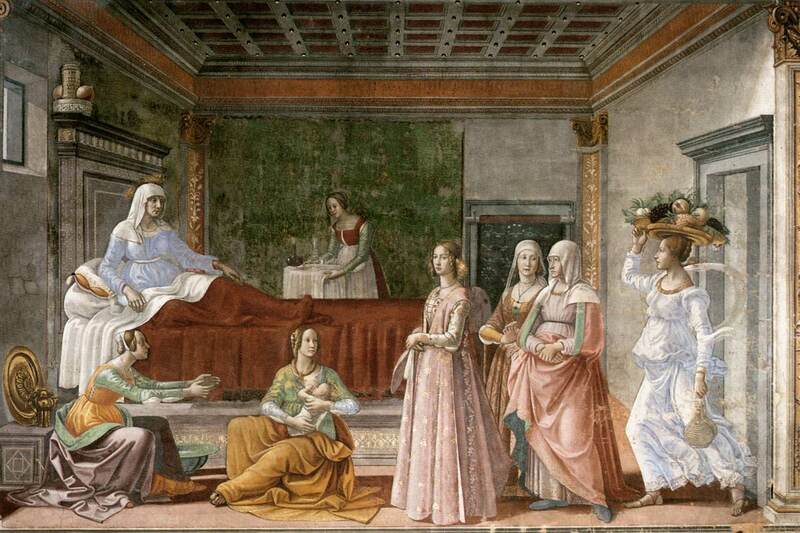 Dominica IX post Pentecosten: "Jesus...wept"
At that time: When Jesus was come near to Jerusalem, He beheld the city, and wept over it, saying If thou hadst known, even thou, at least in this thy day, the things which belong unto thy peace! but now they are hid from thine eyes. And so on. I do not deny then that the former Jerusalem was destroyed because of the wickedness of its inhabitants, but I ask whether the weeping might not perhaps concern this your spiritual Jerusalem. For if a man has sinned after receiving the mysteries of truth, he will be wept over. Moreover, no Gentile is wept over, but he only who was of Jerusalem, and has ceased to be. For our Redeemer does not cease to weep through His elect whenever He perceives any to have departed froma good life to follow evil ways. Who if they had known their own damnation, hanging over them, would together with the elect shed tears over themselves. But the corrupt soul here has its day, rejoicing in the passing time; to whom things present are its peace, seeing that it takes delight in that which is temporal. It shuns the foresight of the future which may disturb its present mirth; and hence it follows, But now they are hid from thine eyes. But our Jerusalem is also wept over, because after enemies surround it, (that is, wicked spirits,) and cast a trench round it to besiege it, an dleave not a stone behind; epseically when a man after long contingency, after years of chastity, is overcome, ad enticed by the blandishments of the flesh, has lost his fortitude and his modesty, and has committed fornication, they will not leave on him one stone upon another , according to Ezekiel, His former righteousness I will not remember. Fr. 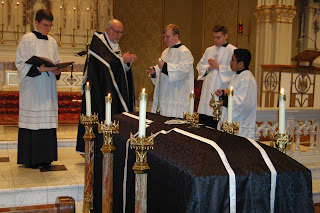 Cusick saying Mass at his home parish in Maryland. Priests and transitional deacons in good standing are invited to take part in training to offer the low traditional Latin Mass in Rehoboth Beach, Delaware, from September 16-23, 2018. The training will take place in accommodations on the ocean block. Meals on your own but there is a kitchen available. Limit 13 priests or transitional deacons. Low Mass celebrated mornings daily followed by a period of training. Email Father Kevin Cusick to reserve a spot or for more information at mcitl.blogspot.com@gmail.com. $25 refundable fee to reserve a spot. Dominica VIII post Pentecosten: "The Lord commended the unjust steward, because he had done wisely though wickedly"
At that time, Jesus spake this parable unto His disciples: There was a certain rich man, which had a steward and the same was accused unto him that he had wasted his goods. And so on. 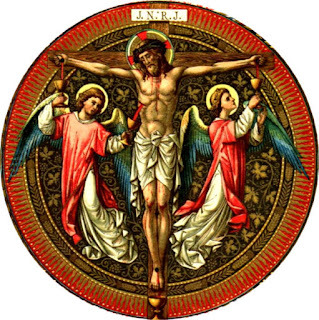 Dominica VII post Pentecosten: "there are many in whom sheep's clothing is but a mask to hide wolfish ravening"
Dominica Sanctissime Trinitatis: "Teach all nations"
At that time, Jesus said unto His disciples: All power is given unto Me in heaven and in earth. Go ye, therefore, and teach all nations, baptizing them in the Name of the Father, and of the Son, and of the Holy Ghost. And so on. Homily by St. Gregory of Nazianzus, Patriarch of Constantinople. There is no Catholic but knoweth that the Father is a Very Father, the Son a Very Son, and the Holy Ghost a Very Holy Ghost, even as the Lord Himself saith unto His Apostles: "Go ye and baptize all nations in the Name of the Father, and of the Son, and of the Holy Ghost." This is that Perfect Trinity Who is but One being, and of Whom therefore we testify that His Substance is one. For we make no division in God, as divisions are made in bodies, but we testify, that, according to the power of the Divine Nature, Which standeth not in matter, the Persons named have a real existence, and that God is One. 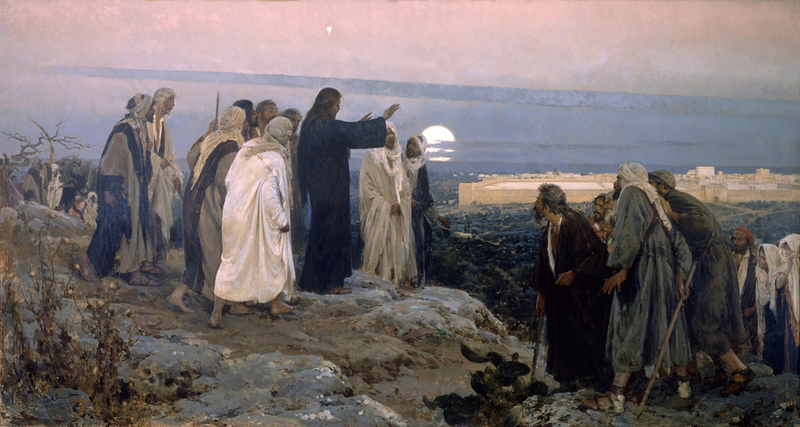 Ascension: "the disciples' slowness to believe that the Lord had indeed risen from the dead, was not so much their weakness as our strength"
At that time, Jesus appeared unto the eleven disciples as they sat at meat, and upbraided them with their unbelief and hardness of heart, because they believed not them which had seen Him after He was risen. And so on. I may be allowed to say that the disciples' slowness to believe that the Lord had indeed risen from the dead, was not so much their weakness as our strength. In consequence of their doubts, the fact of the Resurrection was demonstrated by many infallible proofs. These proofs we read and acknowledge. What then assureth our faith, if not their doubt? For my part, I put my trust in Thomas, who doubted long, much more than in Mary Magdalene, who believed at once. Through his doubting, he came actually to handle the holes of the Wounds, and thereby closed up any wound of doubt in our hearts. Now confirm to our minds the trustworthiness of the fact that our Lord did indeed rise again from the dead, it is well for us to remark one of the statements of Luke Acts i. 4. "Eating together with them, He commanded them that they should not 1 John xiv. 16, 17 xvi. 7. depart from Jerusalem and a little afterward: "While they beheld, He was taken up, and a cloud received Him out of their sight." Consider these words, note well these mysteries. After "eating together with them He was taken up." He ate and ascended: that the fact of His eating might show the reality of the Body in Which He went up. But Mark telleth us that before the Lord ascended into heaven, He upbraided His disciples; with their unbelief and hardness of heart. From this I know not why we should gather, but that the Lord then upbraided His disciples, for whom He was about to be parted in the body, to the end that the words which He spoke unto them as He left them might be the deeper imprinted on their hearts.